After a lengthy career as a commercial interior designer, Vanessa turned her global design experience inside-out into regional landscape design. Today, after more than 33 years as a designer, she continues to be an award-winning, eco-conscious garden designer, is the author of “Understanding Garden Design” and soon-to-be released by Timber Press: “The Professional Designer’s Guide to Garden Furnishings”. 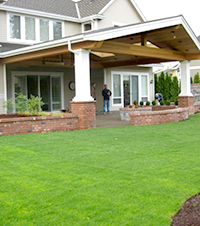 Vanessa is the owner of Seasons Garden Design LLC in Vancouver, Washington and supports the design philosophies of integrating the exterior with the interior, as well as 'finding the common thread' when 'weaving' a garden design. Self-described as a garden furnishings evangelist, Vanessa is a hell-bent, rabid advocate about improving landscape designers’ range of services in order to support outdoor living and people’s connection to Nature. 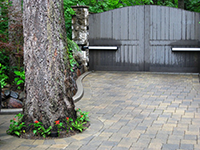 Vanessa has won numerous awards for her designs, including a 2004 Award of Excellence from Sunset Magazine’s Landscape Design Competition for her ouroboros pebble mosaic garden. Vanessa taught design as an adjunct faculty member at Marylhurst University and Portland Community College (Rock Creek Campus). She is APLD-certified and NCIDQ (National Council for Interior Design Qualification)-certified. 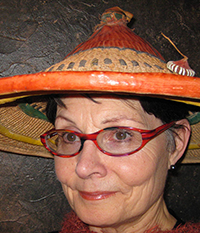 Vanessa has been a professional member of APLD (OR & WA) since 2002, was president of the Oregon chapter and cochair for the 2009 APLD Portland Conference, serves as APLD’s international educational chair, and was a member of the (regretfully) former Garden Design Magazine’s Advisory Board. 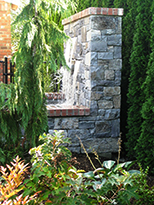 She is also a popular garden design speaker and has gardened for over 35 years. View of new covered patio with raised planters, seat walls. See before and after photos. 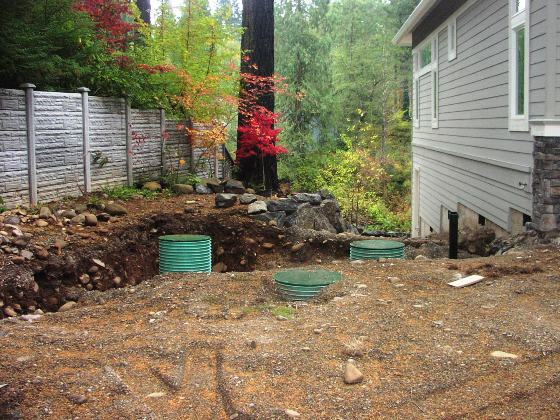 Hired to redesign the back yard, I found a fairly flat space with lots of unhealthy, poorly draining grass and an extensive arborvitae hedge. 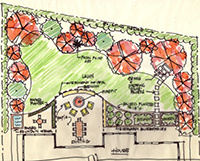 The owner asked interested designers to provide a quick sketch before he awarded the project to Seasons Garden Design. The owners loved the sketch and it drove the final design. 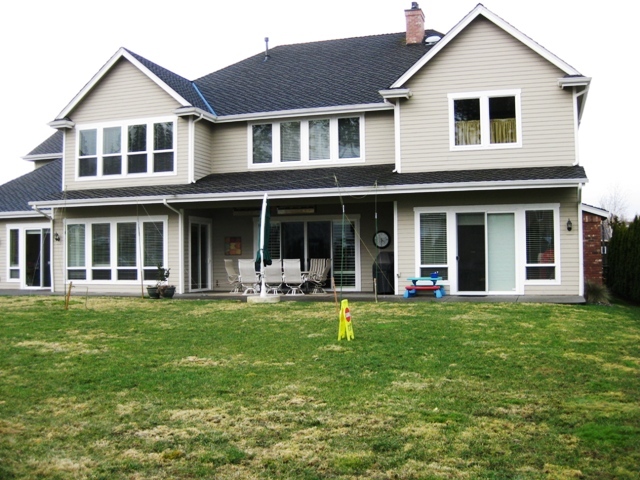 Larger than a standard city lot, it was important to the owner to maintain just enough lawn for “the long throw” when playing ball with his children. 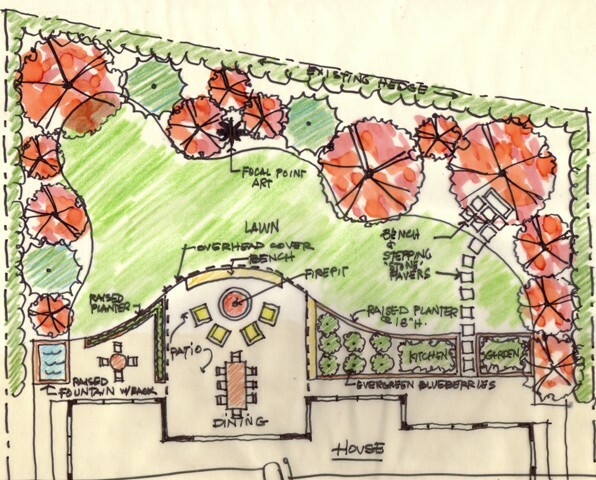 The owner asked me to place an emphasis on fall color for the plants, create a water feature, provide raised beds for growing edibles, and expand & cover a living area with a new fire pit. 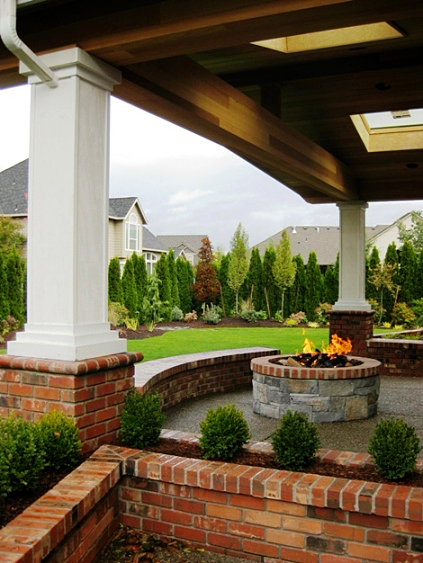 Architect David Alt with Ninth street studio designed the new patio cover while I designed the garden layout which included permanent seating around the fire pit, a new dog run, and a place for a trampoline. We also identified a location for a future art focal point and a place for a garden bench out in the garden. 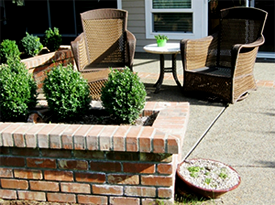 Brick was the material of choice for the permanent seating and raised planters. It matches the brick at the front of the house. Stone complements the fire pit and is the primary finish for the water feature. Plants included: Chamaecyparis nootkatensis ‘Green Arrow’, Acer griseum, Autumn Brilliance serviceberry, dwarf boxwood, Acer rubrum ‘Red Sunset’, Natchez crepe myrtle, Euonymus 'Green Spire', hardy fuchsia, Hydrangea quercifolia ‘Little Honey’, Rosa chinensis 'Mutabilis', Miscanthus 'Morning Light', Cornus alternifolia, variegated red-twig dogwood, dwarf heavenly bamboo, and Ice Dance sedge. 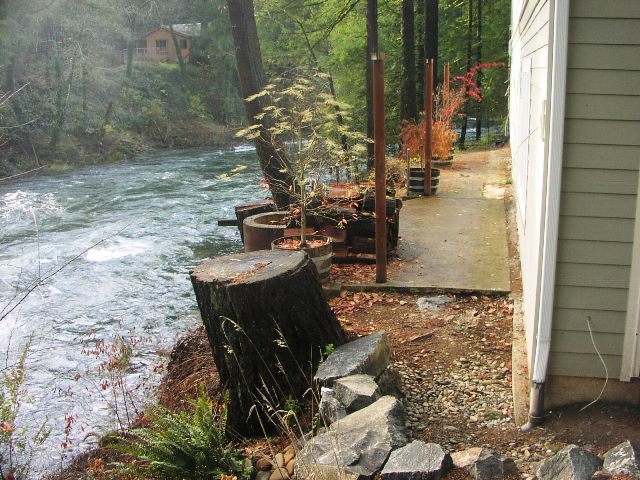 Built alongside the Lewis River on the foundation of a burned ruin, this house circumvented the codes to build farther away from the river by staying within the existing foundation. 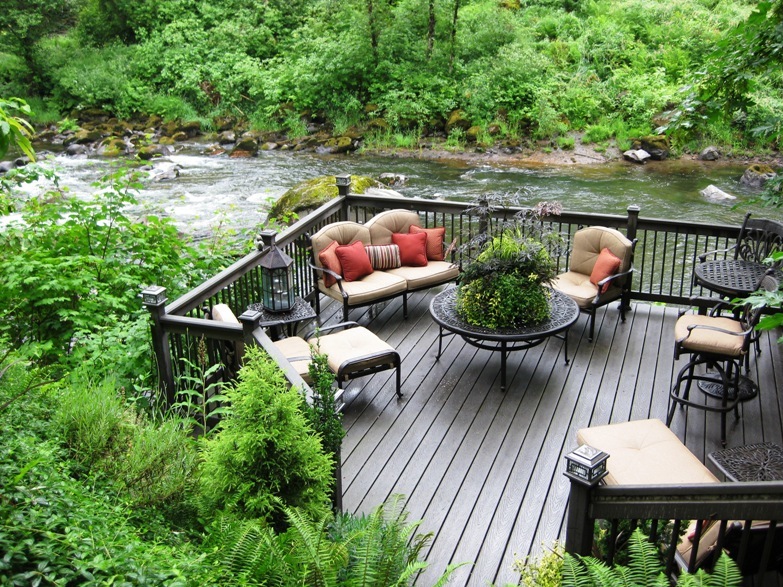 The benefit: stunning river views out back and a woodland garden surrounding the other three sides of the house. 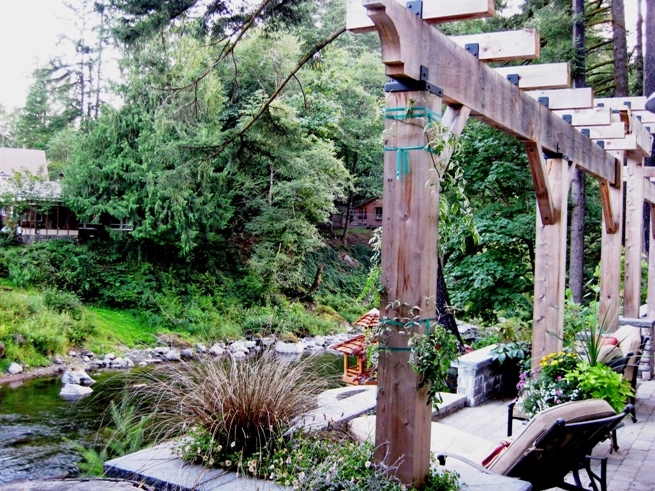 The project includes a new deck built within the defined area of the damaged deck and cantilevered out over the river. 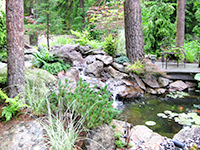 Our original design did not include a koi pond, at the owner’s request, however he changed his mind once work began on the garden. The owners have an eye for design and wanted to participate in planting the garden. In fact, before I was hired, the owner had purchased at least 10 trees with no idea of where they could grow. The understanding became plant them, let them grow, and then remove the weaklings. Instead of creating planting plans, the owner went with me to a wholesale nursery where I helped him create combinations of plants that would grow either in the woodland or along the river bank. Plants included many native woodland plants plus Hostas, Hakonechloa, Hellebores, and plenty of grasses on the sunny bank adjacent to the river. 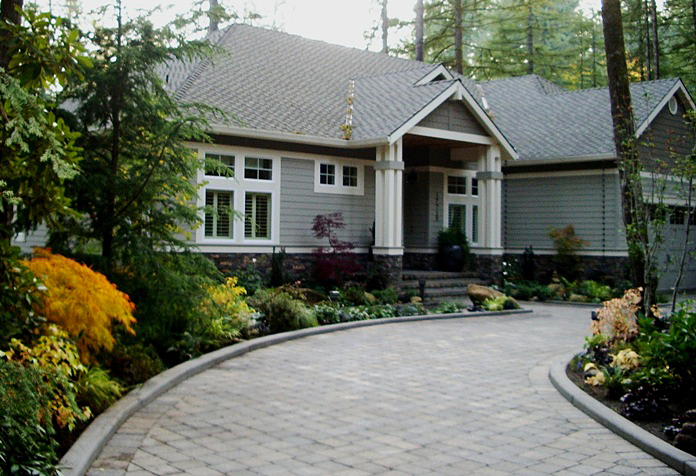 The contractor (Woody’s Custom Landscaping) submitted this garden to WALP and won the Grand Prize award for the best overall design in 2010. 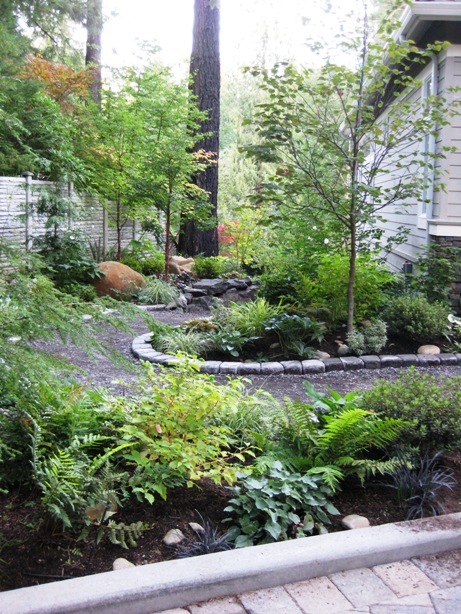 Create a stunning shade garden in front and a sunny garden in the back by the river. 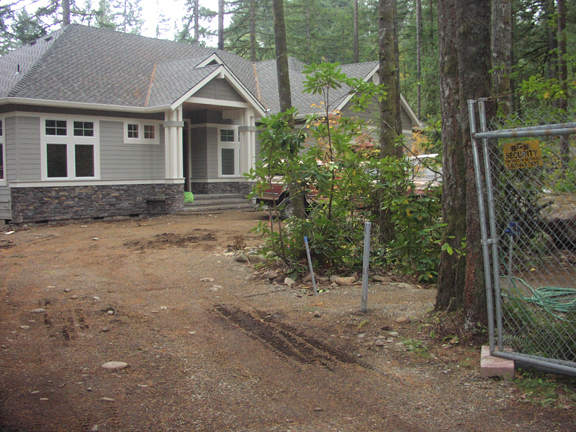 Work with existing stone - and one enormous boulder. 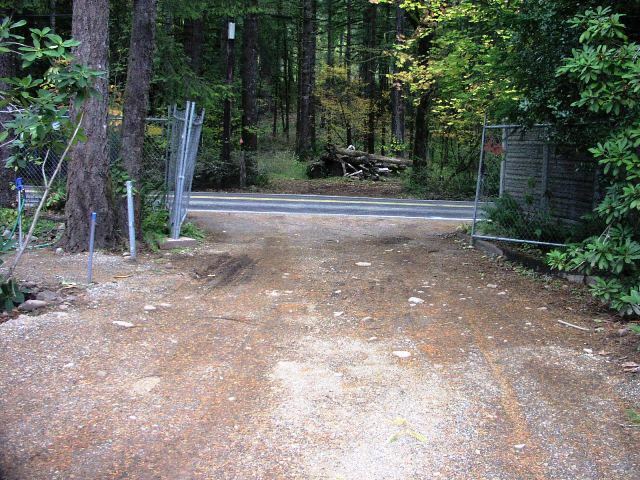 Work paths around the septic system and existing trees. 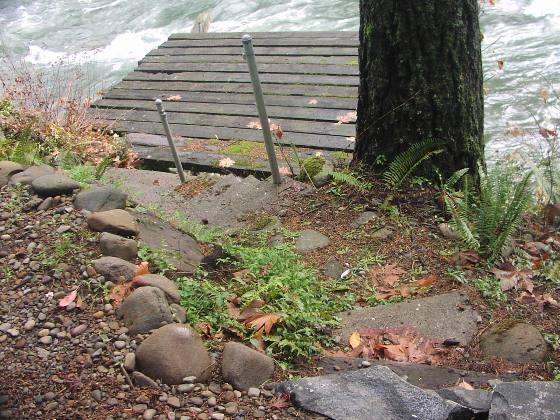 Work with new retaining walls to create steps down to the river. 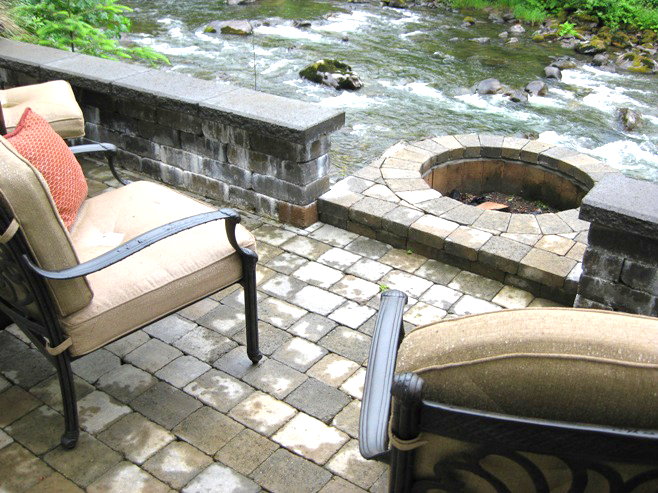 Establish a new terrace alongside the back to take in the river view. 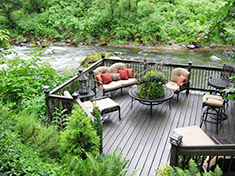 Challenge: relate the height of the house in back to the terrace and river bank garden. 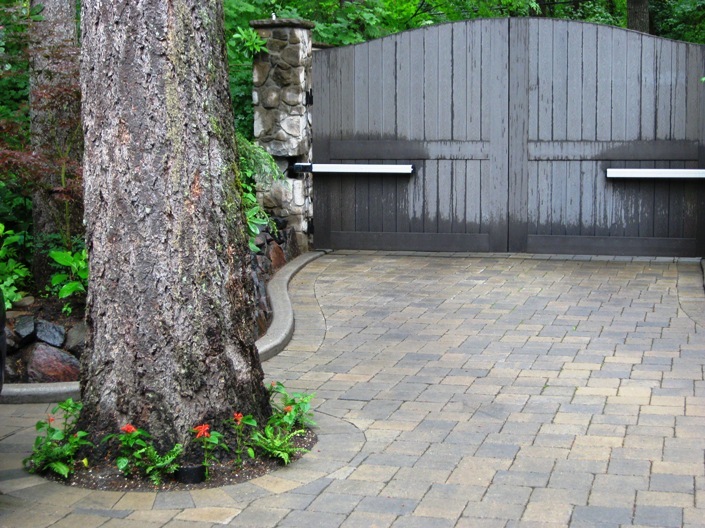 Create a new driveway and parking friendly to the front door that does not delete any of the existing trees. 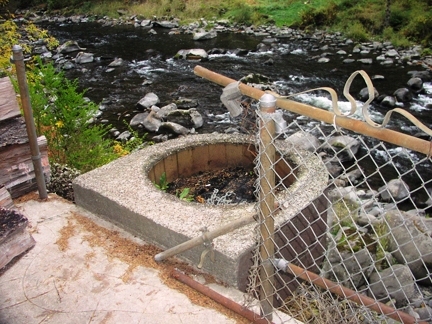 Re-commission the old fire pit at the riverside terrace. Work in all of the trees that the owner purchased before hiring us. 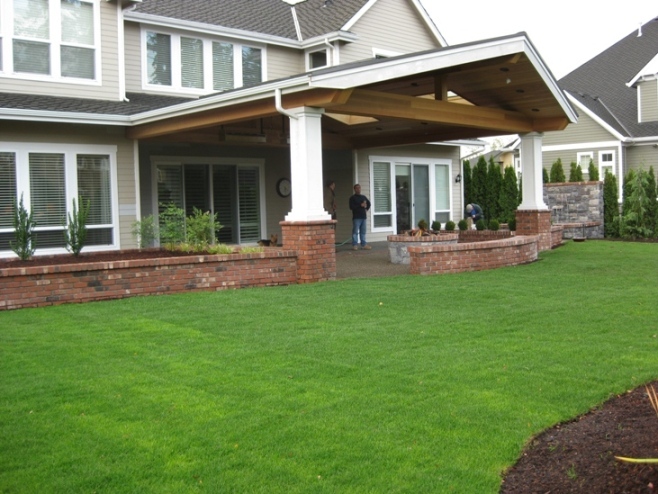 ...provides you with a variety of landscape design services to the Portland OR Metro region, Vancouver, WA, and Soouthwest WA. To learn more about Vanessa and her company visit seasonsgardendesign.com. 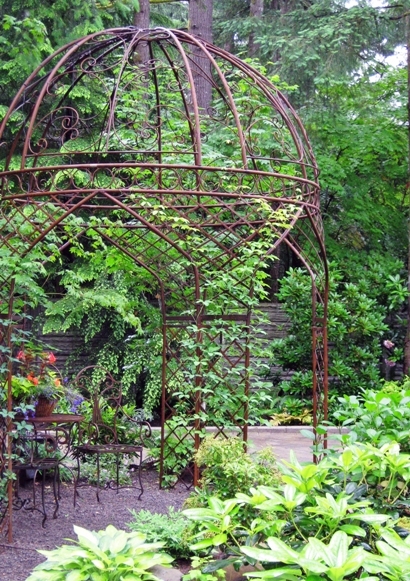 Vanessa's new garden design blog.